ESRI Technical Discription. 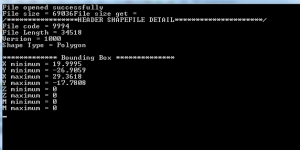 This program reads only Shapefile .shp header, which includes file code, length, version, bounding box coordinates and the type of shape Shapefile you loaded. You can also find simple program that just reads about bounding box of that shapefile. 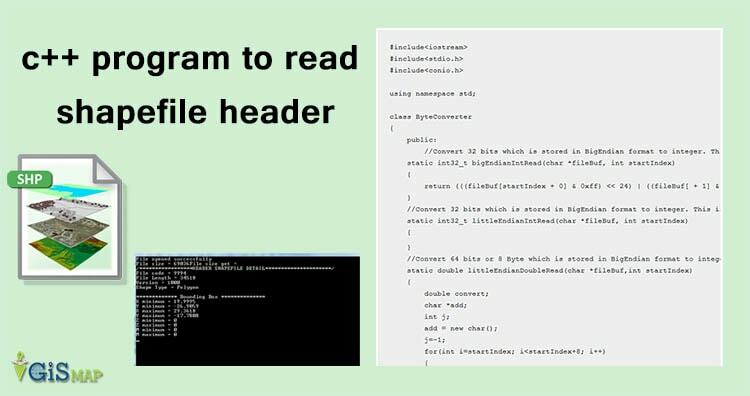 The code is explained with the comments provided in all function that you found. //value is always constant and should have 9994 value. 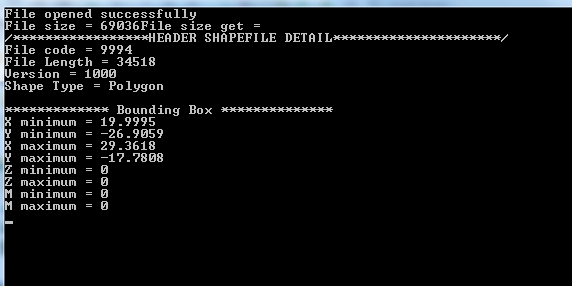 //This remaning funtion of the class will calculate the bounding box coordinates of the shapefile. //This shapefile shapetypes can be found in the technical discription. Which version of Microsoft visual studio can run this program? I have Microsoft visual studio 2010 and 2012 but in both of them the errors don’t let the programs to run!